PDMconnect is a flexible integration platform for seamlessly sharing product and process data across systems. With PDMconnect, users can easily access product data from various systems. Product data is correctly formatted for each background application in context-specific views. It is also checked for consistency before being transferred to development partners or integrated systems. This avoids errors early on and minimizes development overhead. PDMconnect can be used for a variety of use cases such as integrating in-house systems or interfacing with external partners. It allows you to efficiently implement various integration scenarios – from exchanging data to communicating online over web services. This also helps to ease the transition from conventional product development processes to distributed collaborative engineering. 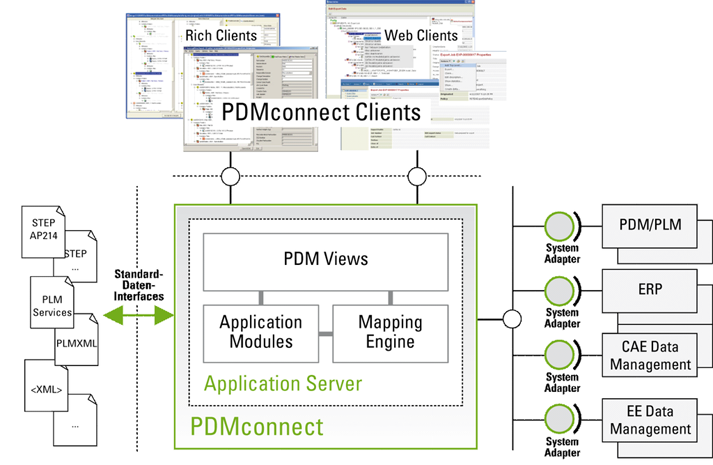 PDMconnect enables an end-to-end flow of information between the systems involved in development. Its modular components ensure the final integration solution is not only open, but also highly extensible. The component-based client-server architecture scales with new collaboration scenarios. PDMconnect supports data import and export in standard formats such as STEP, PLMServices and PLMXML. System adapters provide access to integrated PDM systems from other systems such as ERP or workflow components. Adapters to standard PDR systems are available on request. Customizing poses a challenge for the integration of systems in the product lifecycle. To meet this challenge, the communications solution needs to be flexible enough to handle a wide range of data models, structures, attribute values, rules, processes and workflows. With its highly adaptable architecture components, PDMconnect easily satisfies this demanding standard. To shorten the learning curve, PDMconnect clients can be readily adapted to your corporate design or system look and feel. By using configuration mechanisms, you can populate your interface with familiar icons, assign object, attribute and attribute value names in multiple languages, import company-specific data models and select information to be displayed to your users. 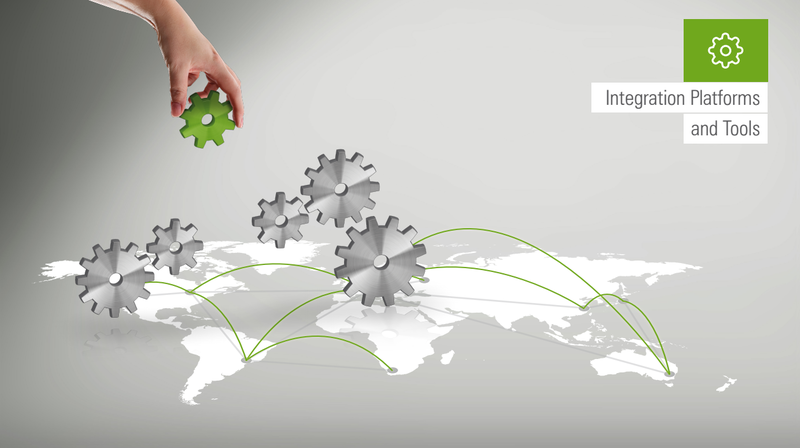 Solutions can be quickly and easily adapted to your unique processes, internal rules and bilateral agreements with development partners thanks to the mix-and-match modules and the underlying mapping technology in PDMconnect Application Server.